Registration is open! Click HERE to register for this event. Has Bethsaida-Julias Finally Been Found? Modern-day pilgrims to the Holy Land are often unaware that until recently almost every site they visit had been lost for centuries – destroyed, abandoned and forgotten. Only in the middle nineteenth-century did explorers from abroad begin the process of relocating places mentioned in the Bible and other ancient writings (e.g., Megiddo, Capernaum, Masada). One such location has drawn recent attention and debate. For the last 30 years, archaeologists working on the site of et-Tell, north of the Sea of Galilee, have identified it with New Testament Bethsaida. However, nagging questions about their claim have persisted. Its remote distance (1 ½ miles) from the lakeshore makes it an odd location for a fishing village described in both Jewish and Christian sources. In addition, the minimal Roman period remains found there do not fit the description by those who walked its streets. For the last three seasons (2016-2018) archaeologists and volunteers from Kinneret College (Israel) and Nyack College (New York) have excavated el-Araj, another suggested location for Bethsaida. In August 2017, headlines around the world announced that Bethsaida, the home of Peter, Andrew and Philip (John 1:44), had finally been found. In this presentation, we will consider the method by which archaeologists and historians identify ancient sites. Using the case of el-Araj, we will ask what was unearthed and why it is significant. How do the excavations at el-Araj compare with the historical picture of Bethsaida-Julias from the ancient sources? Steve Notley will present the findings from the first three seasons of the El-Araj Excavation Project, which may have finally found evidence for Herod Philip’s urbanization of this New Testament era fishing village on the Sea of Galilee, transforming it into a Jewish polis. 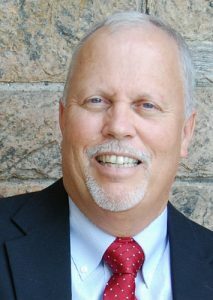 Steven Notley is Distinguished Professor of New Testament and Christian Origins at Nyack College in New York City. To learn more about Steven Notley, click HERE.